Kate here today, sharing two things I am thankful for...my friends and Quick Quotes. Quick Quotes Happiness Collection and Quick Quotes Bundles made it so easy to create this fun gift ensemble for my dear friend. This ensemble is perfect for this month's Quick Quotes Friday Challenge to create a gift ensemble. Be sure to check it out! I am always looking for unique ways to present gifts and recycling tins is always a good way to go. I reused a Lindt Chocolate tin for my altered gift tin. The tin is wrapped all the way around in paper from the Happiness Collection. Don't you just love these bright, fun colors? 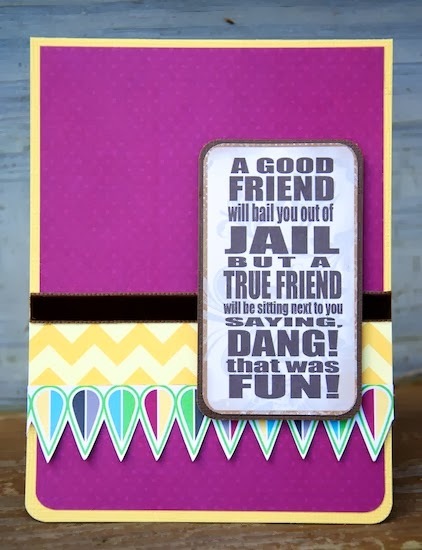 The sentiment comes from the Quick Quotes Sentiments Bundle. The card is designed to compliment the gift packaging. 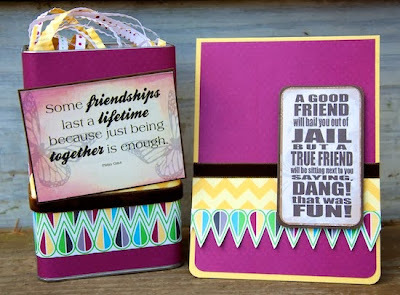 I used the same papers, but pulled out a fun friendship sentiment from Quick Quotes Inspire Bundle. This sentiment totally cracks me up! 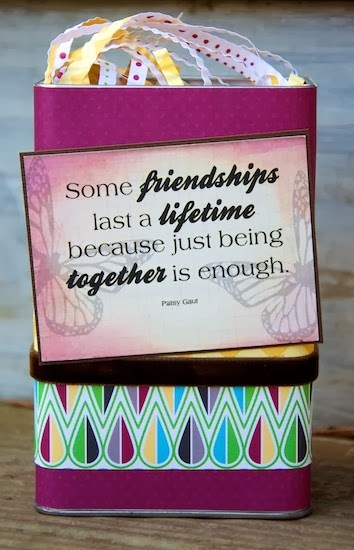 So, the next time you are stumped for how to present a gift, pull out any Quick Quotes line and use your creativity! Thanks for stopping on over today! Please play along with our challenge this month if you create a gift set too! Love this Kate!! What a great idea to recycle a tin for gift giving! Fun fun fun, great quotes too!